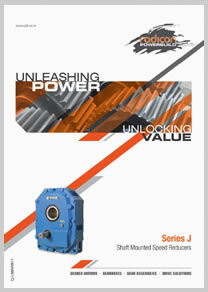 RADICON POWERBUILD Series 'J' is available in the most popular ratios. A very simple product that is easy to mount and dismount using our patented KIBO technology. By varying input speed using mechanical drives, the output RPM can be controlled to suit any application. Series 'J' delivers an excellent performance especially for construction, ceramic, glass, mining, paper and chemical industries. Up to 5:1- Single Reduction. Up to 25:1- Double Reduction. Input Options: Chain, Belt pulley. 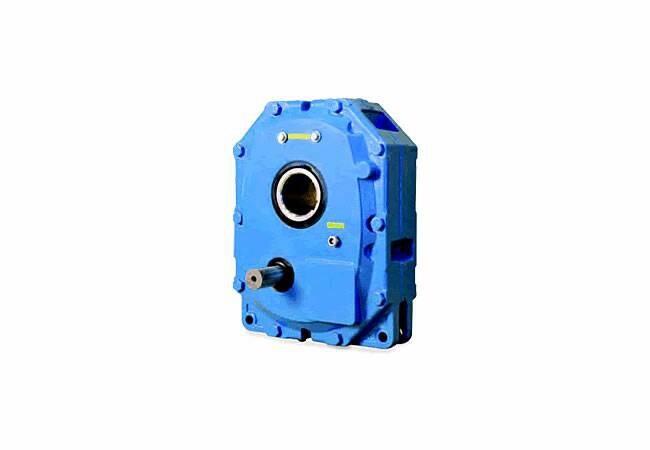 Output Options: Standard Hollow Shaft, Shrink Disc. Accessories: Backstop, Torque Arm Bracket.